When it comes to water heating technology, the choices are wide and varied. There is always something that best fits your budget, your home size, your location, and your other preferences. You just have to find the right company that will take the time and the effort to walk you through each of your options and help you decide on what best suits you. This is what 4Star Plumbing Services is all about – informed choices and professional services that is reliable any time, any day. 4Star Plumbing Services offers a range of choices for your home heating needs. We have both traditional and modern eco-friendly choices to match every lifestyle and budget. The options that we offer range from boiler heating systems and tank-type water heaters, to the more modern options like the tankless water heaters, hybrid heat pump water heaters, and solar heaters. Choices for pool heaters are also available and our personnel are skilled and trained enough to handle everything from installation to repairs and maintenance. Our services are available for residential and commercial establishments. 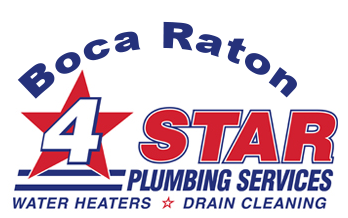 It is 4Star Plumbing’s unwavering commitment to delivering complete customer service that makes them Boca Raton’s choice for plumbing services. We take that extra step in educating our clients about the different options that we offer and what would work best for your need. We also make sure that we can confidently assure you that our experts are professional, skilled, experienced, and will follow our strictest protocols on security. Don’t waste another minute searching for the best; in Boca Raton and in the rest of the Broward County, 4Star Plumbing Services is your best option. 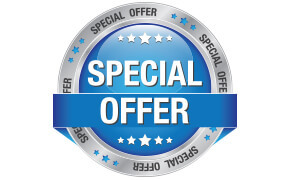 Call us today for inquiries, to get a free quote, or to schedule a visit from our experts!